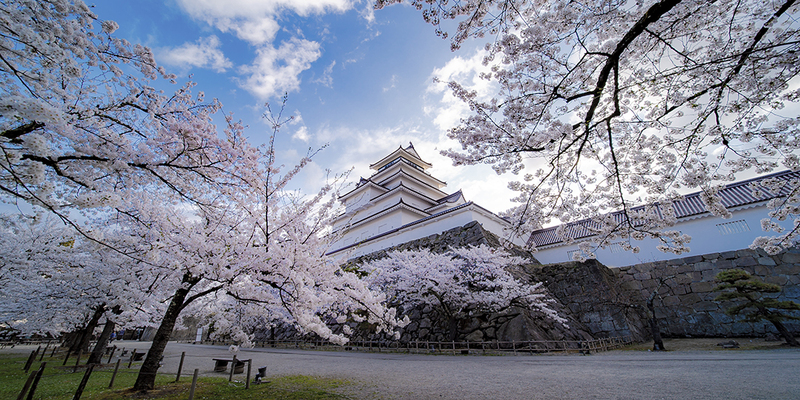 When the days of samurai came to the end and the breeze of civilization and enlightenment was blowing in Japan, many western-style buildings, which were the latest at that time, were built on the coast of Kanmon Strait which was a gateway for ships coming from overseas. There are still a lot of retro architecture reminiscent of that time. Foreign vessels crossing the strait, nostalgic landscapes, and fresh seafood, etc. 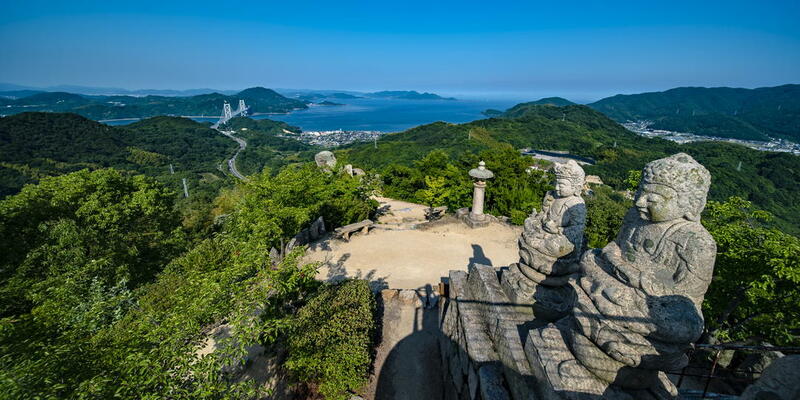 Located across Kanmon Strait, the Shimonoseki City in Yamaguchi Prefecture, the westernmost tip of Honshu, and Kitakyushu City in Fukuoka Prefecture, the northernmost tip of Kyushu, are filled with charm of a strait city only. 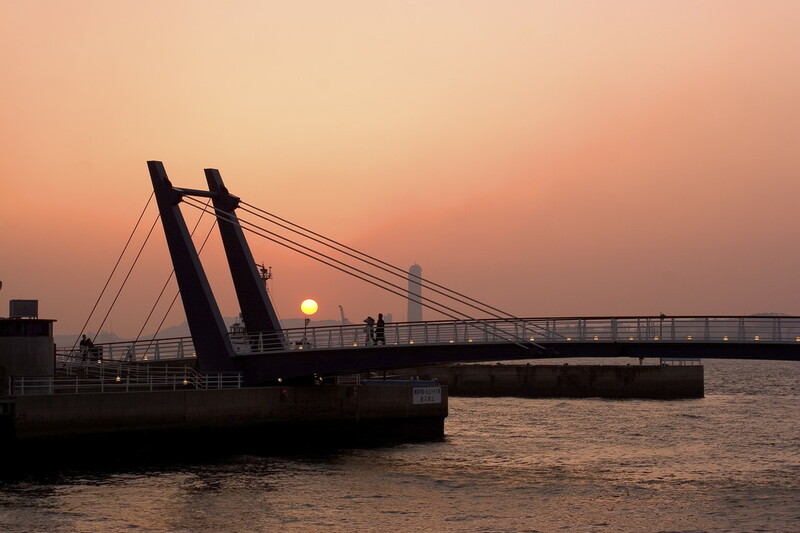 Here, we will introduce special gourmet spots and instagrammable spots that will delightfully add color to your journey around Shimonoseki and Kitakyushu. Please be sure to enjoy the two cities where you can travel back and forth by ship, car, or train, or on foot through a tunnel about 780 meters long built in the strait. 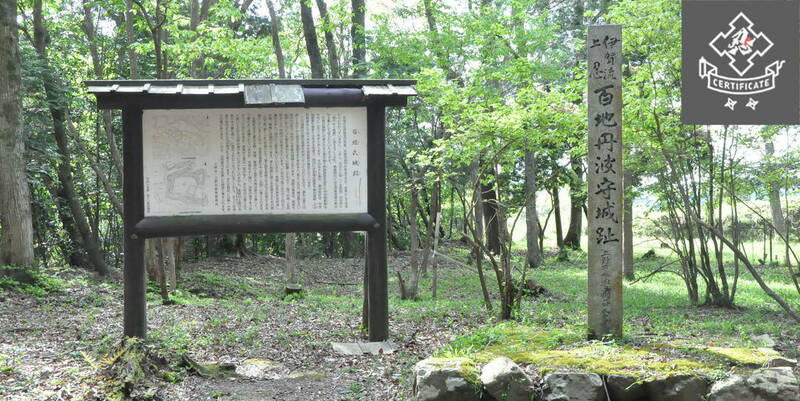 The name of "Hinoyama (fire mountain) Park" derived from making a smoke signal to inform of enemy's attack at the top of mountain. The mountain top with an altitude of 268 meters is a great instagrammable spot where you can take a panorama photo of Kanmon Strait. While you can get to the top of mountain in about 30 to 40 minutes on foot, the ropeway is in operation during a period from the middle of March to the middle of November. 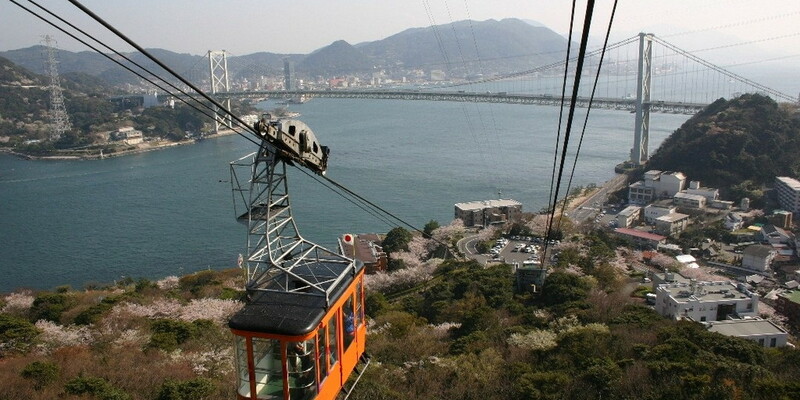 As it takes only 4 minutes one way to arrive at the top of mountain, the ropeway is very convenient. 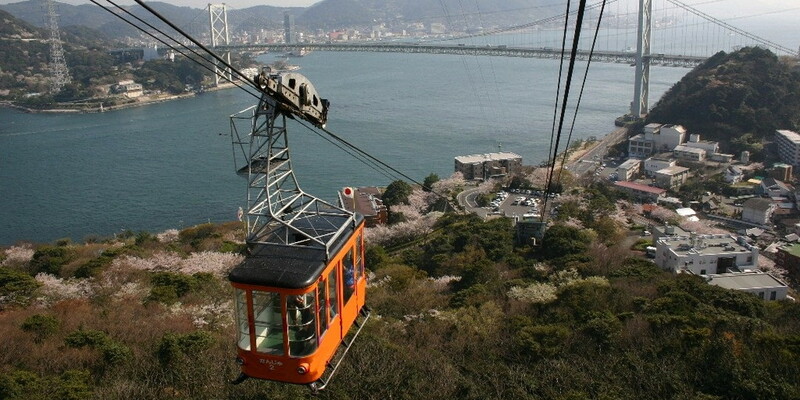 In addition, since the unobstructed view can be seen from the rooftop of the ropeway platform, it is recommended as a photo spot. You Should Definitely Eat Its Specialty, Pufferfish! In Ikiiki Bakangai at Karato Market, You Can Fully Enjoy Seafood. 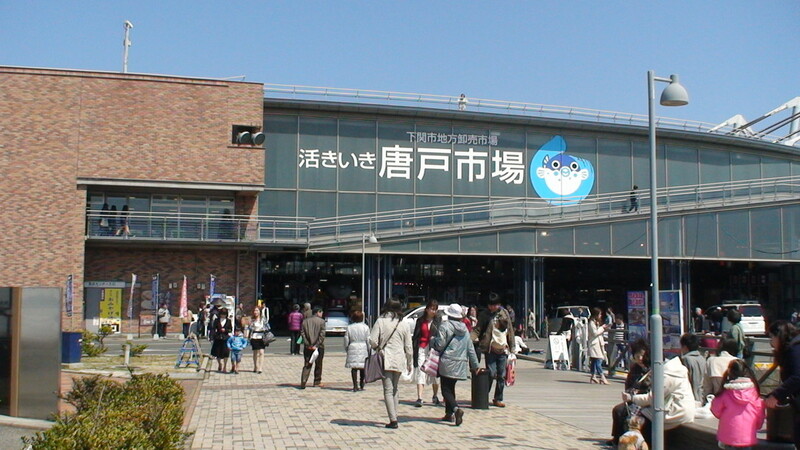 Karato Market is in Shimonoseki city which has been developing as a core of transportation since old times. Fresh seafood caught and landed at fishing ports inside and outside Shimonoseki City gather at the market. 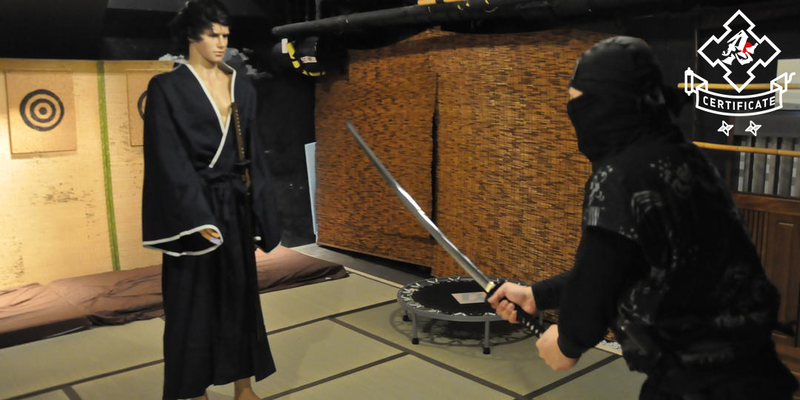 Since purchase is available for not only professionals but also general customers, the market has been popular as "Kitchen of Shimonoseki" since old times. The most popular event in this market is "Ikiiki Bakangai" which is held from Fridays to Sundays and only on public holidays. Bakan is the old name of Shimonoseki. The narrow street is crowded with about 20 stores selling sushi and fresh seafood at reasonable prices. You can arrange an original dish with sushi you bought at favorite stores, and then eat them at a wood deck while seeing the sea at ease. Please be sure to taste pufferfish and whale, Shimonoseki specialties. 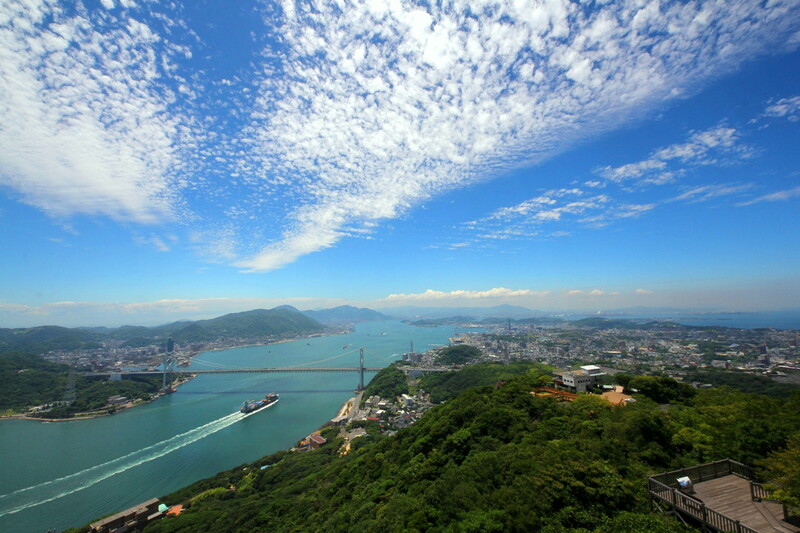 In 1889, Mojiko Port was opened as one of bases of international trade. Western-style buildings such as a customs house and trading companies were built one after another in the neighborhood. 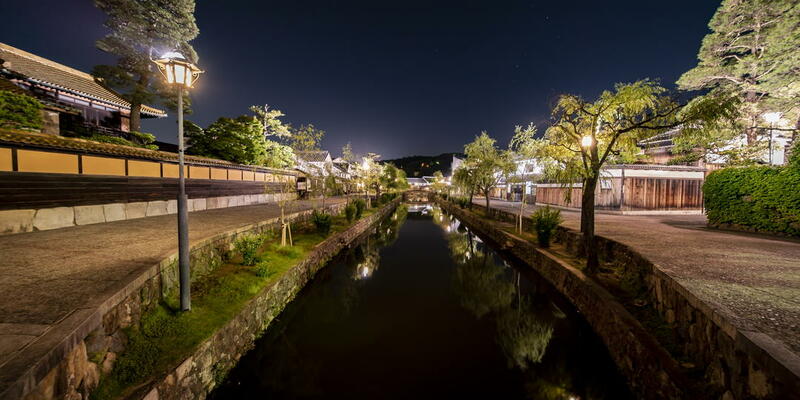 Therefore, the area around Mojiko Port had been prosperous as a stylish port town until the beginning of Showa era (the first half of the 20th century). Since 1988, the redevelopment project has been carried out. The area has become popular again as a fashionable sightseeing spot where there are both retro architecture retaining the atmosphere of the old times and newly born modern buildings. 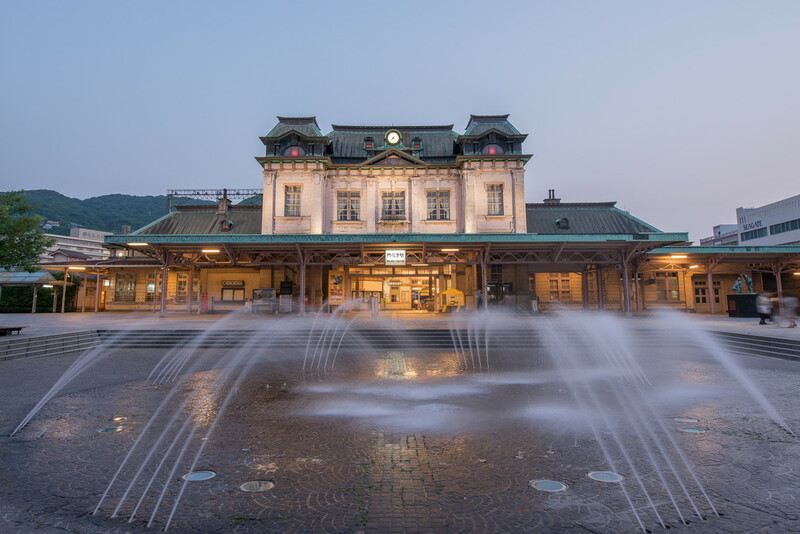 In the Mojiko Retro District, there are a lot of instagrammable spots you should check out, for example, “Blue Wing Moji”, a pedestrians-only drawbridge known as a lover's sacred place, “Mojiko Station” with Neo Renaissance-style station building (renovation work scheduled until spring in 2019), and “Former Osaka Shosen Mercantile Steamship Co. Building” featured by octagonal penthouse. There are also cute "Kanmon Hearts" hidden around Mojiko Retro District. Allegedly, they have been quietly popular. Please enjoy finding your very own instagrammable spot. As with ramen, curry is widely popular in Japan as a national cuisine. 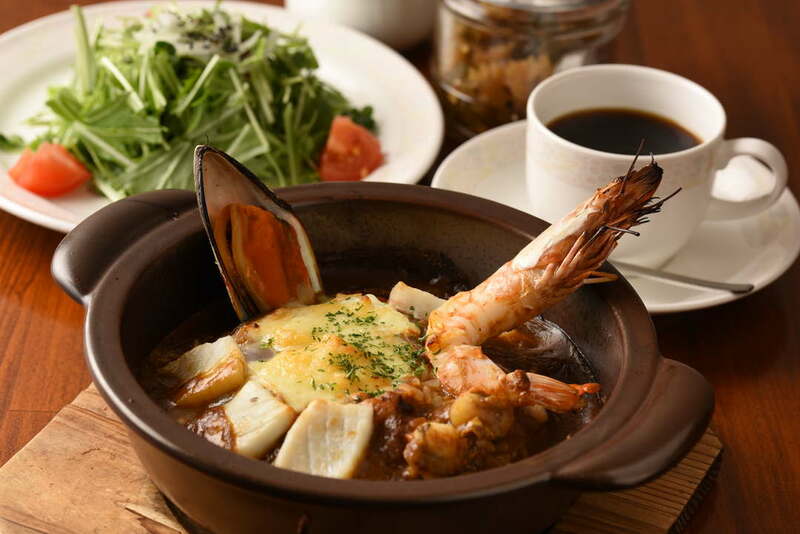 As "Baked curry" which was born as a result of evolving from such curry has been gaining popularity as comfort food of Mojiko, a lot of restaurants specialized in it have opened. Unlike ordinary curry with rice and curry source just served in a dish, this is unique cuisine made by putting curry source, raw egg, and cheese on rice in a heat-proof dish and baking it in an oven. As a specialty store of this baked curry, “Curry Honpo” opened in Hakata-ku in 1998, subsequently became known as an original baked curry restaurant. Flavorful sauce, consisting of carefully made special bouillon, brown sauce made by browning flour with butter thoroughly, and carefully selected spices and herbs, is baked in oven to condense their taste. Finally, it becomes a dish with deep flavor. There is a heartwarming episode that the baked curry has a nostalgic taste that mother of a founder of "Curry Honpo" used to serve at cafe.